Results Sedona Home Sellers Can Count On! With the rapid rising Sedona Home prices, you want to get more than the market will bear - because the inventory is so low - and buyers will buy any price! NOT SO FAST! 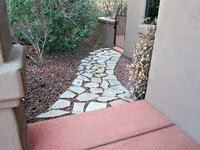 There is the wrong way and the right way to navigate through another changing Sedona Real Estate Market. Let my expertise guide you! I welcome the opportunity to have a conversation with you to help you get your property SOLD. Please leave a personal message on my cell phone at 928-301-0669, or via contact me via email and I will be happy to help you. I want to thank you for the fabulous job you did in marketing my property this past month. After my having it listed with another REALTOR® for nearly two years with no success, you stepped in and had potential buyers viewing the house almost immediately. Never would I have imagined that in this difficult housing market you could have sold it as soon as you did! Barbara Baker is a communicator; she is smart, confident, and impassioned in delivering outstanding real estate services to her clients. Barbara is a great asset: Enthusiastic, efficient, knowledgeable, successful, and therefore highly recommended. She makes things happen when everyone else is moaning about their individual issues... she sends pertinent educational materials out to those of us who are stressed by the real estate debacle — keeping us abreast of the most up-to-date data.